Got his start at Michigan’s right-wing Mackinac Center for Public Policy. 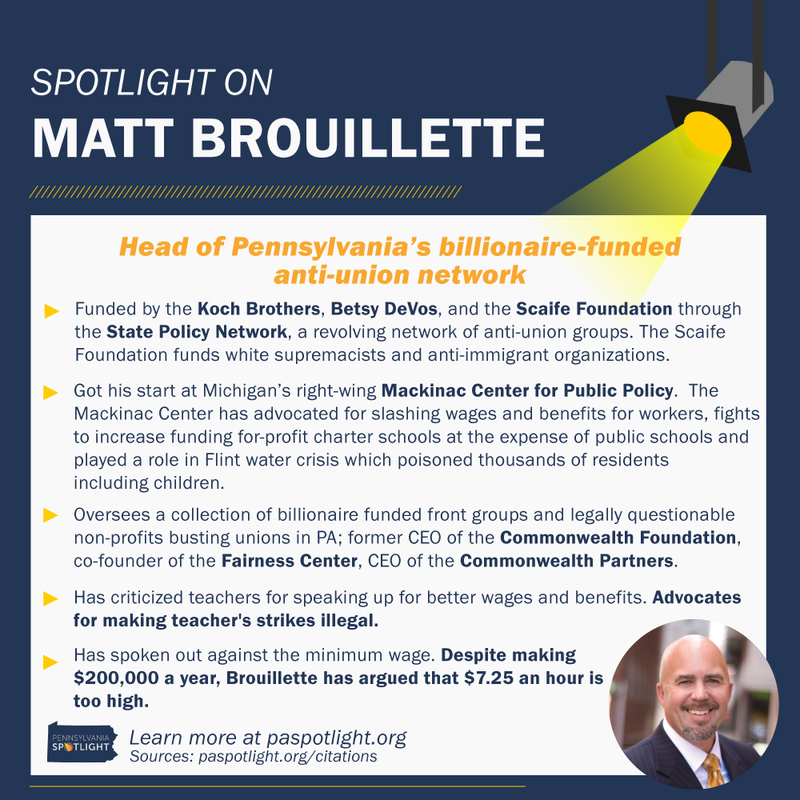 The Mackinac Center has advocated for slashing wages and benefits for workers, fights to increase funding for-profit charter schools at the expense of public schools and played a role in Flint water crisis which poisoned thousands of residents including children. Has criticized teachers for speaking up for better wages and benefits. Advocates for making teacher’s strikes illegal. Has spoken out against the minimum wage. Despite making $200,000 a year, Brouillette has argued that $7.25 an hour is too high. 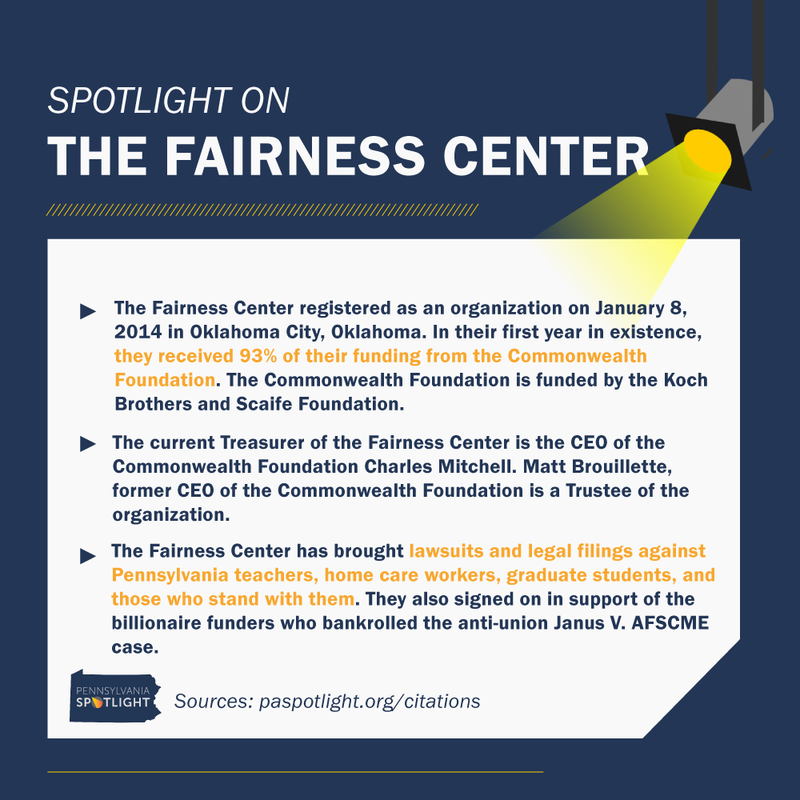 The Fairness Center registered as an organization on January 8, 2014 in Oklahoma City, Oklahoma. In their first year in existence, they received 93% of their funding from the Commonwealth Foundation. 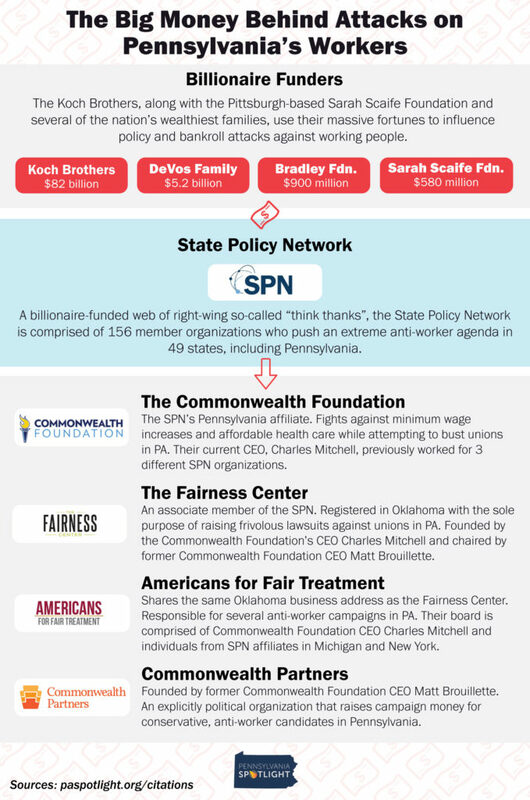 The Commonwealth Foundation is funded by the Koch Brothers and Scaife Foundation. Commonwealth Foundation Funding Of Fairness Center. The current Treasurer of the Fairness Center is the CEO of the Commonwealth Foundation Charles Mitchell. Matt Brouillette, former CEO of the Commonwealth Foundation is a Trustee of the organization. 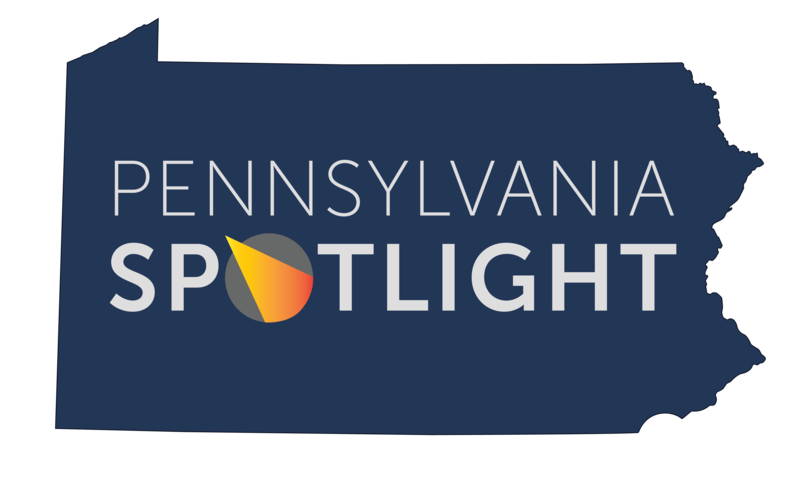 The Fairness Center has brought lawsuits and legal filings against Pennsylvania teachers, home care workers, graduate students, and those who stand with them. They also signed on in support of the billionaire funders who bankrolled the anti-union Janus V. AFSCME case.